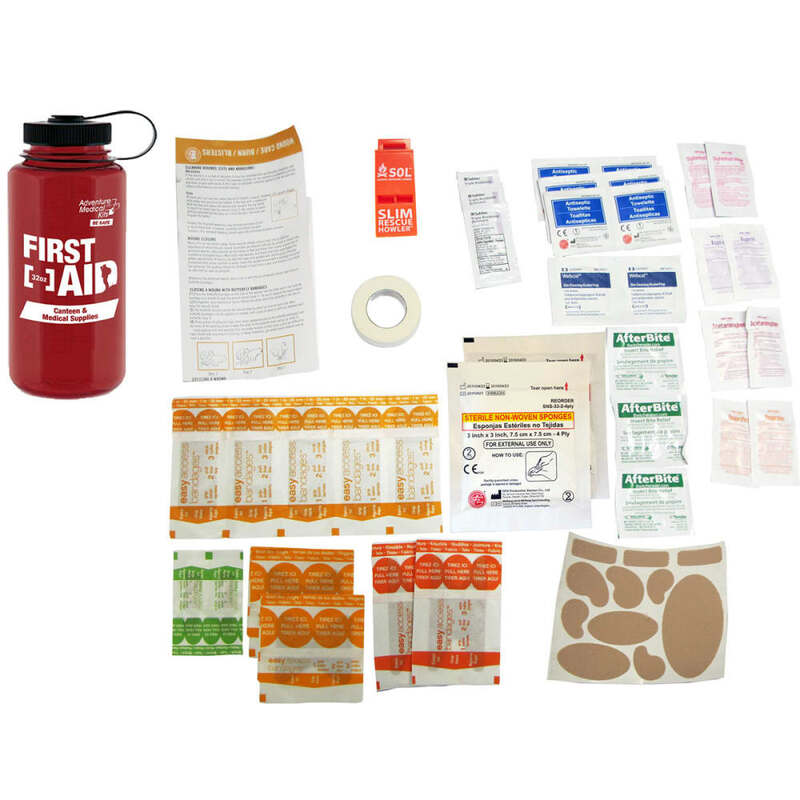 Injuries can and do happen on the trails, so it’s wise to pack a first aid kit along. 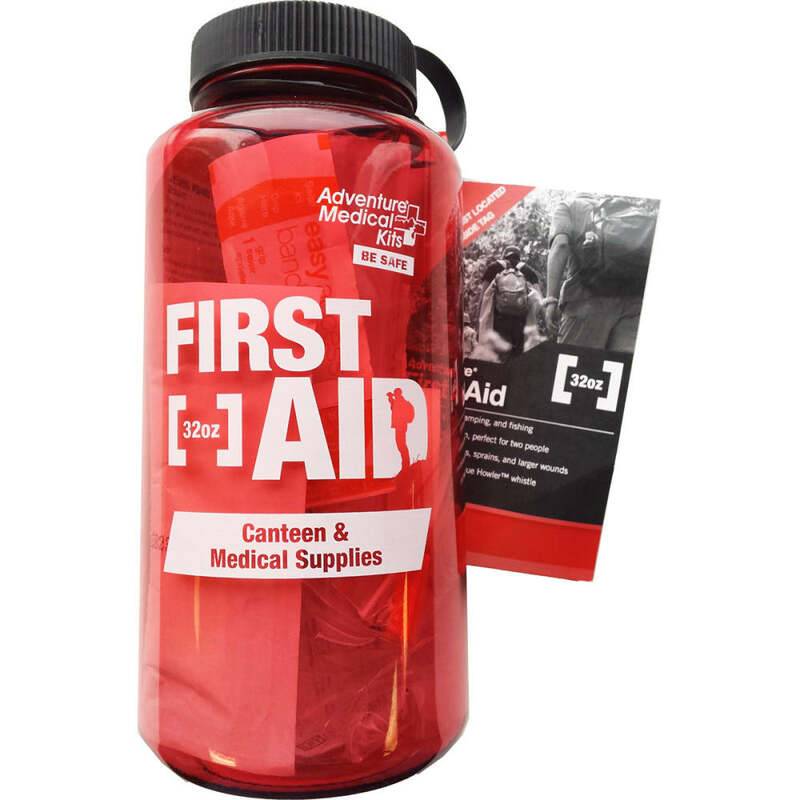 This combination considers convenience in two ways, first by including all basics for everything from cuts and allergic reactions to muscle aches together, and second, by stowing everything in an easy-to-carry water bottle. Measures 3.25 in. by 3.25 in. by 8 in.